This page contains answers to common questions, along with some tips and tricks that we have found useful and presented here as questions. What is the location of the flea market? What are the Actual Flea market hours? What is an Occasional seller? How do I get a seller's space? When should I arrive to get a good seller's space? Why doesn't the flea market start at the official start time? When is the next flea market? Why was the flea market moved? How do I contact the flea market? What’s available at the concession stand? Are there other food options? Why no flea market in October? The flea market is located at Fry's Electronics in Sunnyvale. The flea market can be reached via highway CA-101 in Sunnyvale. Click on the directions link for details. 5 AM to 12 PM. Sellers have two hours to clear the property after the market closes. See the question on official start time. 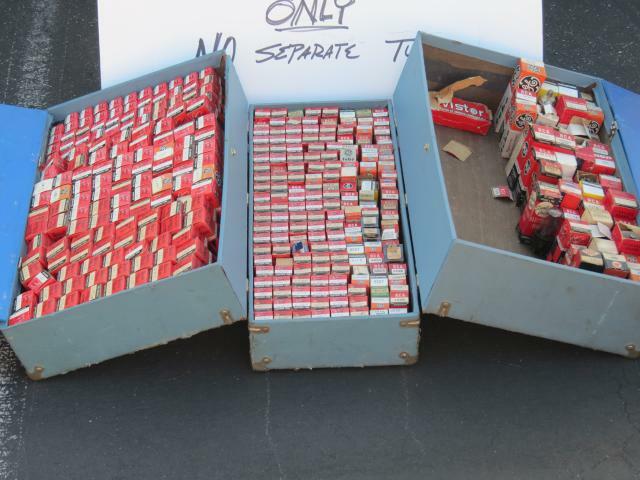 California State law requires all flea markets to register their sellers. The motivation for registering sellers is to improve compliance with collection and payment of sales & use taxes. Regular sellers must provide their name and Sales & Use Tax permit number. Occasional sellers must provide their name, address, and state identity card number (eg. California Driver's License number). See the related question on How do sellers Register. All sellers must be registered before entering the Electronics Flea Market. See the question on Why must sellers Register? Please bring a completed CDTFA-410-D form with you to speed your entry. A link to this form is on the seller information page. An occasional seller is one who sells no more than twice a year and sells only her personal items. An example of items would be things from your garage or home that you no longer need. Occasional sellers are not required to hold Sales & Use Tax permits. See Seller information page for more details. Seller's spaces are sold on a first-come, first-served basis. Each seller's space consists of a pair (two) parking places, each pair is $30.00. More than 1 pair may be purchased so generally speaking, if you show up by 8:00am you should be able to get a seller's space. Plan accordingly. Speaking of rain, there is no rain-check or refund. See the question on rain. Where can I find find the toilets? There are three portable toilets located at the north end of the vendor area in the east side parking lot of Fry's Electronics, Sunnyvale. There are a few hardy individuals that come from some distance, arrive the night before and camp out all night in the lot. Normal people start arriving about 4:30am and the best slots are taken by about 6:00am. A number of reasons preclude us from being able to hold sellers at the gate until the start time; there is no gate, traffic would back up and down city streets if we tried and the police frown on that kind of activity. 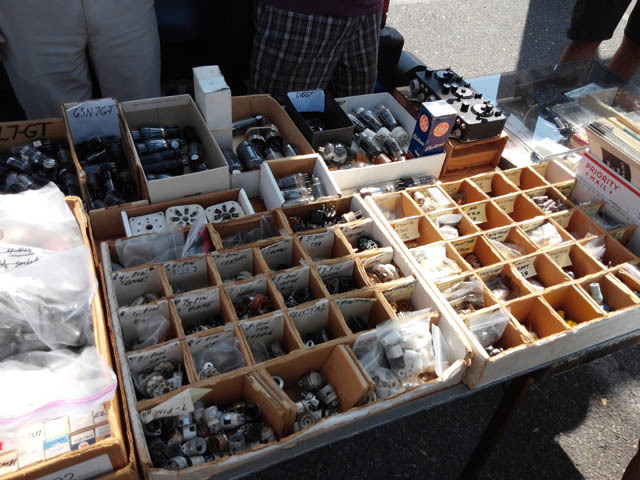 Overall, the flea markets are a function of the Association of Silicon Valley Amateur Radio Organizations (ASVARO). They work with a different sponsoring amateur radio organization who provide volunteers to run the market and benefit from the proceeds of that event. If you have any problems that need immediate resolution, go to the concession stand and ask for the person in charge. You may also ask for assistance at the vendor gate. We currently run the flea markets on the second Saturday of each month, March through September, rain or shine. Click on the schedule link for specific dates. fluorescent bulbs, including CFLs (compact fluorescent). Electronic devices: TVs, computer monitors, PDAs, cell phones, etc. Mercury-Containing Items: thermostats & thermometers. E-Waste should be processed by a state certified recycler such as those listed on our recycle page. We have made arrangements with Fry's Electronics to hold the flea market in their parking lot at their Sunnyvale store. This is to reduce costs in order to keep the market financially viable. Previously the market was held at De Anza College in Cupertino (2006-2018). 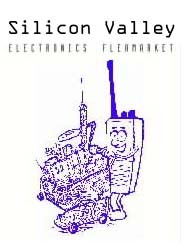 You can find official information about the flea market at www.electronicsfleamarket.com. If you have an issue or question during the flea market, contact the people operating the food concession or the vendor gate entrance. You may email us at: info AT asvaro.org. At the radio club sponsored concession we offer chilled water, soft drinks, fresh brewed hot coffee, and donuts. We have simple pricing of $1.75 per item. Fry's Electronics in Sunnyvale has a cafe in the store, where flea market attendees may find other food items beside the usual water, soft drinks, coffee, and donuts available at the concession stand in the vendor area. Our flea markets are held rain or shine. Our flea markets are scheduled from March through September, so we avoid the coldest and rainiest months. If we do get rain, it's usually over in an hour and only temporarily dampens the market. For the past few years Pacificon in October has been a conflict with the Electronics Flea Market on the same weekend. In 2014, the Red Cross decided to no longer participate in the Electronics Flea Market. This reduces the number of markets to seven (7) and shortening the season to March through September. This works out well, since it avoids the conflict with Pacificon.